STANDARD : piggy bank type. Wide opening with standard cap. Existing diameters: 44mm, 52mm, 65mm, 71mm, 86mm, 100mm, 108mm. Heights: minimum 51mm, maximum 300mm. BVT canning: "empty-all" type. The opening is specially designed by our company to easen total flow of the product. 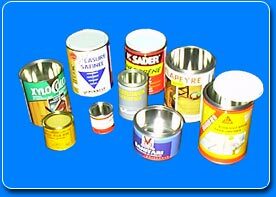 Furthermore, this canning type comes with a sealed cap to ensure total watertighness. Standard diameters : 65mm, 86mm, 100mm, 108mm. Heights : minimum 64mm, maximum 300mm.